Pocket flasks from 1750 were kept in saddle bags and housed in wagons. He emphasized that free blown half pint glass was expensive back then. He pointed out that bottles were “bought empty” and filled at the tavern or filled from a cask stored at home. 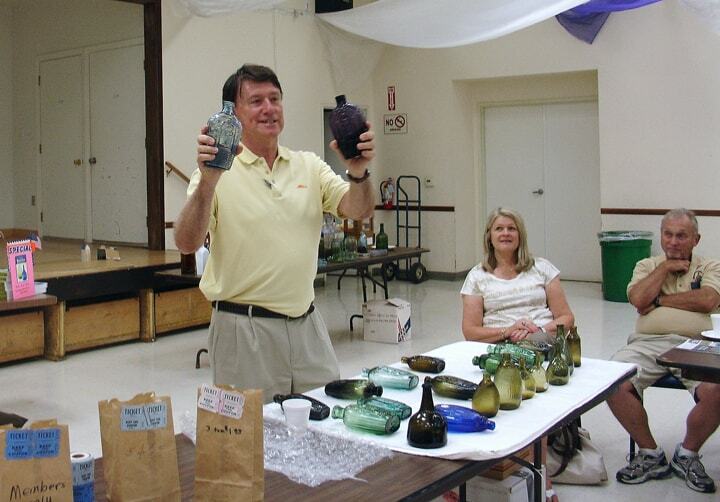 “Masonic flasks and Sunburst flasks were the very early glass. The Sunburst was the very first of the two pictorial flasks to be made at the historical Mt. Vernon Glass Works near Albany, New York.” Richard called to our attention the fact that the sunburst was a popular design, around 1780 to 1790. The sunburst design was prevalent on the legs of furniture of that time period. This popular design was used to produce the first mold-blown flasks in the 1813 to 1814 time period. The Masonic flasks followed very soon after the introduction of the Sunburst flasks. 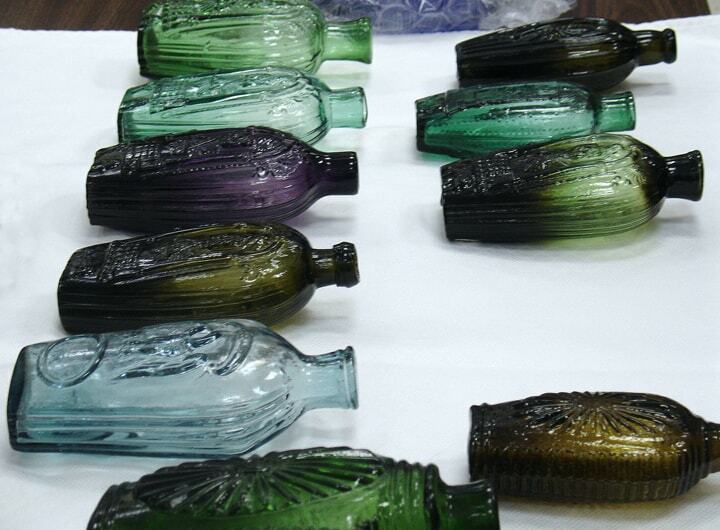 Engraved Masonic symbols appeared on those bottles. 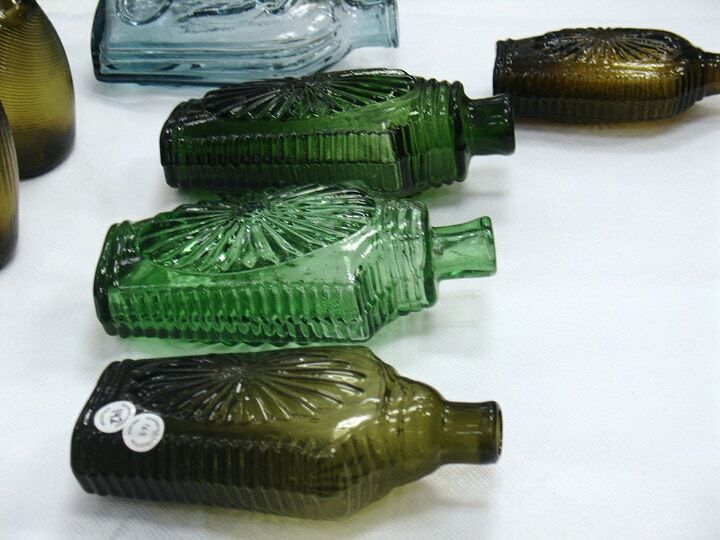 Richard stated that these types of bottles sold for more money than the free-blown glass. 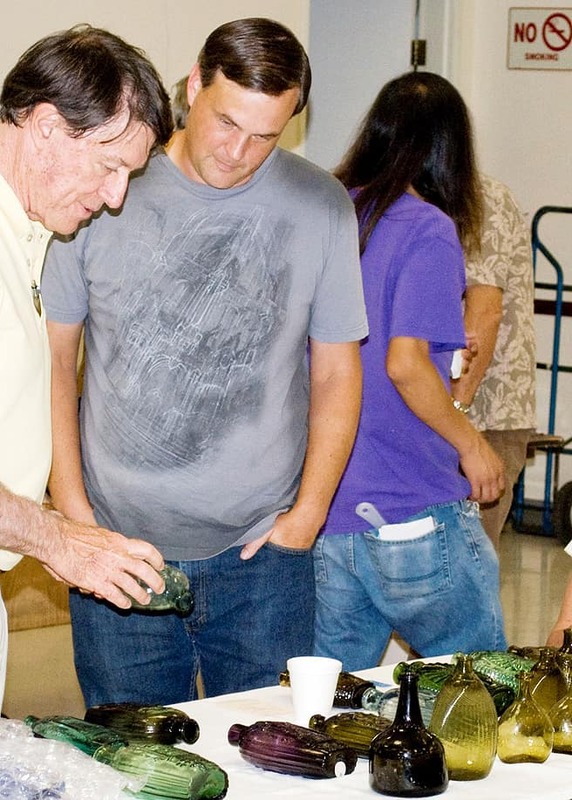 It was pointed out, by Richard, that “Bottle collecting was a ‘Hot Item’ in the 1920s.” His implication was that bottle collecting in the 1920s helped preserve early historic flasks for today’s collectors.